Do you ever wonder why you feel pressure and pain behind right eye? Could this be something serious? It usually happens when you spend extended hours in front of a computer. It could also be because of stress and fatigue. Sometimes, it indicates some serious underlying problems, which is why it is important to investigate more about your condition to find a treatment. Your eye produces aqueous humor, a fluid that helps maintain the intraocular pressure (IOP) in your eyes. There may be an increase in IOP due to fluid buildup in the eyes, which is usually the outcome of hypertension, diabetes, and nutritional deficiencies. This excessive pressure compresses the optic nerve at the back of your eye and you feel pain. You should see your doctor if you suspect glaucoma is the reason behind your eye pain. There may be some other symptoms as well, such as nausea, blurry vision, mild headaches, vomiting, watery eyes, swollen eyelids, and the loss of peripheral vision. If you have allergies, the reason behind your pain could very well be inflamed sinuses or sinusitis. In this condition, the sinus cavity becomes inflamed and you feel pressure behind your eyes or cheekbones. Some other common symptoms of sinusitis are toothaches, fatigue, a stuffy nose, fever, tenderness in the front of the face, and a reduced sense of taste. You are likely to develop sinusitis because of food allergies, respiratory infections, and environmental allergies. Any pain or pressure behind right eye may indicate vision problems, such as nearsightedness, farsightedness, and astigmatism. It could also be due to the syndrome presbyopia that causes blurred bear vision along with pain behind your eyes. 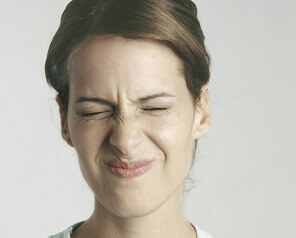 Your brain and eye tries hard to correct focus and this squinting can cause pain behind the eye. You develop this condition when the optic nerve, which establishes a connection between the brain and the eye, becomes inflamed. This inflammation causes a painful sensation behind the eye. You may eventually develop multiple sclerosis if you are suffering from optic neuritis. In rare cases, the pain behind your eye is due to a problem called ocular migraine. One out of every 200 migraine sufferers develop ocular migraine. Also called a retinal migraine, the problem usually affects only one eye. It is important to have it evaluated by an expert to ensure it is not an early sign of a tumor. A cluster headache can be so painful that it wakes you up in the middle of the night with pain and pressure behind right eye or both eyes. Sometimes, you do not experience any pain for weeks and even months, and then the pain reappears. You get this pain due to serotonin release. Other symptoms include tearing, red eyes, eye swelling, and a stuffy nose. You develop this condition due to the swelling of optic disc. The swelling occurs when intracranial pressure increases. It may also happen because of hemorrhages, inflammation, and brain tumors. The pain may continue for several hours or even weeks at a time. Your pain may become worse with sneezing and coughing. You may notice some relief after lying down for a while. Other signs of papilloedema include double vision, headaches, and pain behind the eye. Be sure to take plenty of rest when you feel any pain or pressure behind your eyes. Do not spend hours after hours in front of a computer screen or television. You do not have to stop using these gadgets, but you really have to limit the time you spend using them. These screens emit radiation that causes strain in the eyes. Try the 20-20-20 rule when working in front of the computer – it means you should take a 20-second break after every 20 minutes and focus on something 20 feet away from your computer screen. This helps lower stress on your eyes and prevents pain behind the eye. Use eye drops to relieve pain and pressure. You can try OTC eye drops for this purpose. Just keep in mind that you should be using these drops in moderation. Eye-exercise may also help relieve pressure and reduce pain behind the eye. The idea is to stretch your eyes a bit. You can do it by raising your eyebrows for 30 seconds and then relaxing your eyes slowly. Ensure you do not blink when stretching. Repeat 3-4 times and then return to your work. Consider taking a powernap to help prevent eye fatigue and strain. Moreover, you should seek medical attention if moving your eye is painful and you also have abdominal pain with vomiting. How Long Will My Eyes Stay Dilated After Examination?